~ Monrovia Library is celebrating National Library Week by forgiving fines and fees throughout the week. 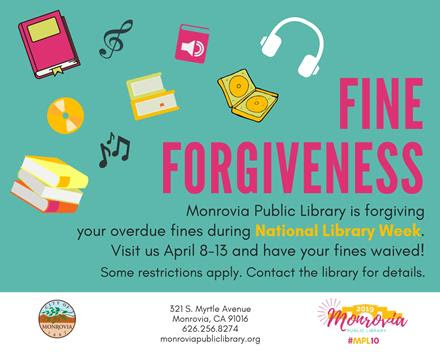 Some restrictions apply, see Library staff for more information. ~ More than 300 community members attended the 10th annual MAP conference at Second Baptist Church. Bishop Dr. Wm. La Rue Dillard - who has served as the head pastor for the past 45 years - will retire this May. 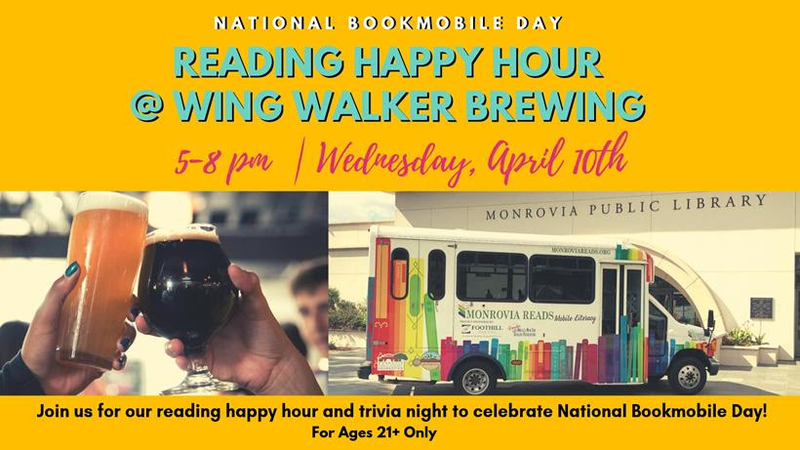 ~ The city will partner with Wing Walker Brewery to celebrate National Bookmark Day on Wednesday, April 10, from 5 to 8 p.m. at Wing Walker Brewery (235 W. Maple Avenue). 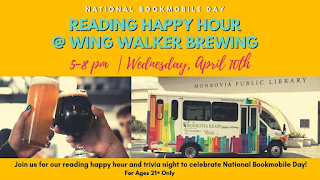 Fun activities from 5 to 7 p.m., then trivia from 7 to 8 p.m. For ages 21 and over. For more information, contact the Library at 256-8274. ~ Flea-borne typhus cases in LA County have nearly doubled between 2013 and 2017, to nearly 60 cases per year. People get it by contact with feces of infected fleas, which rats, cats, opossums, and other small mammals may carry. Keep fleas off you and your pets (flea control products, keep pets indoors). Don't leave pet food or drinking water out for wild animals. Keep yard free of debris and trim overgrown plants. Keep trash in tightly covered containers to avoid attracting animals. Close openings where rats and stray animals can sleep, hide, or find food.